Once you know what you are looking for in an ERP system, it’s time to start creating a list of functions you’ll need. Once you know what you are looking for in an ERP system, it’s time to start creating a list of functions you’ll need, how much money you’ll have to budget, and the timeframe you’ll have to work with. Then, you will be able to evaluate the ERP solutions available and find the one that meets your needs and your budget. During this phase, you should talk to everyone on your staff who will be using the system, not just executive management. These people will be able to identify what they need in the new system. Many ERP vendors, including Key Cloud Solutions, will help you with this task by performing a formal business analysis. On this page, you will be able to explore: What is available that would work for us? Which ERP fits my business? How do we evaluate the different options? Is there an active user community and annual meeting? What do they think about the product and ERP vendor? Key Cloud Solutions has a very active user community. We meet annually in late January/early February. Customers, Partners, and Staff gather every year to network, learn what is coming, and train on what is available now. What do the ERP analysts think about the product and vendor? Independent third-party reviews help validate the products and services provided by an ERP vendor. Key Cloud Solutions is mentioned weekly in at least one of the industry analyst blogs. In addition, Key Cloud Solutions has received recognition from a number of organizations that review business software, including PC Magazine awarding key Cloud Solution a rating of EXCELLENT in 2016. Read some of the industry analyst reports that compare Key Cloud Solutions to other vendors and you will learn about a rapidly growing company that is serving their install base. Are companies like mine getting real benefits with their system? Our customers are our greatest sales people. Their successful selection and implementation of MYOB Advanced ERP is a major priority for everyone in Key Cloud Solutions. Unlike other ERP vendors that have a few selected customer case studies, Key Cloud Solutions publishes a large amount on our website. What industry functionality is supported? Each Industry has a unique set of challenges, and it is important to have a robust ERP that has specific functionality for your industry. Acumatica has references in a wide variety of industries, but primarily works with mid-sized businesses in Services (Professional, Business, Repair/Field, and Non-Profit), Wholesale Distribution (Durable and Nondurable), Discrete Manufacturing (MTS, MTO, ETO, and Batch), as well as Retail and eCommerce. All ERP vendors have Accounting and Financial Applications. Most also offer inventory management, sales order management, and purchasing management. Some offer manufacturing capabilities as well. If your company is growing, you may just want to implement Financial Management now, but you should also carefully review all the applications that you may need for your business as it grows. 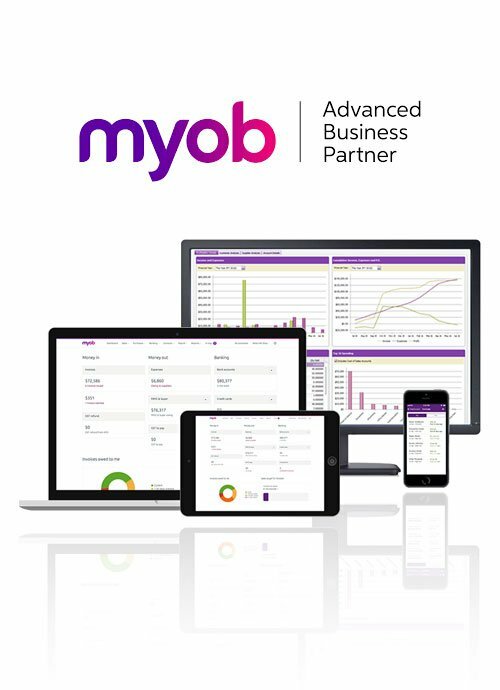 MYOB Advanced’s adaptable and integrated solutions include: Financials, Distribution, Manufacturing, Commerce, Project Accounting, Field Service Management, and CRM. What does a modern ERP look like? If you are using a legacy system, you will find that a modern system looks much different. It comes with a standard set of screens, but users can move or hide columns, set up their own navigation, access information using self-service tools, create custom dashboards, and much more. In addition, a true Cloud ERP system does not require you to be on a PC or download a software license. It runs in a browser on any device and the screen’s size and shape changes based on the device you choose to use at that moment. Plus, there’s no need to go to an office PC to get information. Your information is available from anywhere at any time using the Internet. Does it have the Reporting & Analytics functionality needed in the future? Business Intelligence (BI) is mostly recognized as the source of the executive dashboard that contains graphical displays of major high-level measurements, like sales, production statistics, and inventory level, along with alarms and drill-down capabilities. More than simply arranging data into convenient and attractive formats, however, BI includes analytical and data warehousing/data mining capabilities. BI provides the tools that can turn data into knowledge and insight. Is the system truly mobile ready (any device)? Legacy ERP systems were developed many years ago, before the wide adoption of mobile and cloud technology. Their mobile applications are added on as an afterthought, typically using a separate set of applications written in a different programming language that only covers a finite number of functions. That is not the case with MYOB Advanced, where mobile was built into the foundation of the product. All applications work anywhere, any time, on any device with a browser. They all respond to the device you are using and change the screen size and layout automatically. In addition, there are also small mobile applications designed for people on the go, such as expense receipt reporting. These mobile apps are ideal when there is no need to access the full application. They work natively on iOS and Android devices and can be downloaded for free from your App Store. What are the benefits and costs of Cloud vs On-premises ERP? Some vendors downplay the savings and benefits that can be gained from the cloud. These vendors have been slow to enter the cloud ERP race and have relied on misinformation to slow the move from on-premises solutions to modern cloud solutions. If you are relying on actual data instead of false marketing, the advantages of cloud ERP versus on-premises are clear. Why is cloud computing technology gaining popularity? In 2009, 80% of midmarket companies preferred an ERP solution installed in their facilities (on premises). But that has rapidly changed due to better access to the system, increased data security, and lower total cost of ownership. Can I get free trial for a limited time? Unless they have already given a custom demo of the product, it is rare that an ERP vendor will provide a trial. This is because the typical ERP system has a wide variety of applications with many different screens. Left on their own without proper guidance, the new visitor gets confused and lost. Very much like traveling through a large, unmarked forest for the first time, it is helpful to have a guide. With a guided demonstration of the software, you will be able to see the product flow and functionality. Good vendors have recorded their product demonstration to give the visitor an understanding of how their product works. With all the different software suppliers, how do I compare them? Selecting an ERP system to run your business is a decision that will affect your business for many years. Many products offer the same or similar features, and it can be confusing to sort out what’s important and what’s not. This tool can help. What should we be asking to determine which system best fits our needs? While it may be true that ERP systems are more alike than different – all contain the same core functionality, more or less – those relatively minor differences are what make the system appropriate, usable, and beneficial to your organization. What are some tips for selecting a new system? There are many ERP choices, and system selection can be challenging. Each supplier will claim the superiority of their products, but only you can decide which system best fits your needs. We would like to offer some general advice that can be applied to any ERP system you will be evaluating. Is having CRM built into the base system important? With many vendors, the CRM (Customer Relationship Management) and ERP products are integrated, but remain as separate products, which can create issues. There is much more value in a CRM that is built into the foundation of the ERP solution. MYOB Advanced was built into the Key Cloud Solutions foundation from the very beginning. It spans marketing, quoting, field services and sales to delivery and post-sales support. This means that vital customer information is always up-to-date and accurate across the entire organization. Can I extend ERP with complementary solutions? You have always had a choice of buying a best-of-breed (BOB) solution for a specific industry OR a horizontal solution with industry extensions. With the rapid changes in technology, the BOB solutions have fallen out of favor, because their small install base did not provide enough revenue to reinvest in the new technology. The other advantage of a horizontal ERP is that “best practices” from other industries are incorporated into the base functionality, making them available to all customers. This is particularly useful for growing companies that want to invest in multiple businesses. Key Cloud Solutions encourages third-party extensions by Independent Software Vendors (ISVs). We have an online catalogue where you can see for yourself what is available and certified. How easy is it to tailor and customize the ERP systems for my business? If you are only implementing accounting, then customizing the system may not be important. But if you are selling to customers and delivering products or services, the system should be able to easily adapt to your needs. The good news is the ERP industry has changed over the past 10 years, making it much easier to customize the software to your unique business requirements. In the past, programmers had to develop customizations inside the base product and reapply them after every new release from the vendor. Modern ERP systems allow significant tailoring of the interface by the user. Plus, many have “switches” or options in the program that allow the company to determine how much of the functionality works. Finally, you will find that most customizations do not have to change the base product. They are made with standard tools (like commonly available development tools and programming languages) and are standalone enhancements that interact with the base product through API’s. Key Cloud Solutions provides all these benefits and more with the MYOB Advanced platform. How can we determine our Return on Investment? True Cost of Ownership (TCO) is made up of the difference between the Total System Cost (TSC) and the Return on Investment (ROI). The equation is: TCO = TSC – ROI. ROI analysis is almost always a requirement to get the project funded because it provides the justification that company decision-makers need. Done right, this peek into the future can also provide a framework for the project team as well as the CEO and the board to monitor progress and steer the project to successful completion. Can we afford it? How do I financially justify an ERP system?